Living with a broken toilet is hard. Even though you have more than one bathroom in your Greenville, SC home, you really need all of your toilets to work. Otherwise, you are constantly inconvenienced and you’ll end up stressed out without knowing why. Instead of being overwhelmed and tired, give us a call. We’ll come take the strain on ourselves so you can get back to your regular life. When you call Corley, you’re calling plumbers who know what they’re doing with toilets and who can solve any toilet problem you might have. 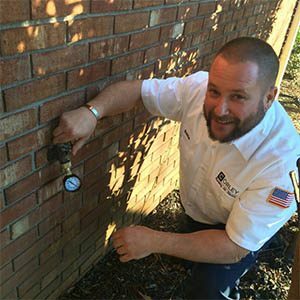 We are skilled and experienced at troubleshooting anything that might come up, so you can always be sure that a call to Corley will result in a solution to your issue. Even if you want to install a new toilet or you’re looking for help on your remodelling project, we are the plumbers to provide the solution you need. Does Your Toilet Need a Plumber? Sometimes, people hesitate to call a plumber because they feel like their problem is too small. They feel like they ought to be able to fix it themselves, or like the plumber will think they are silly for calling. The truth is, there’s no toilet job too big or too small for us, and we want to help you out no matter what’s going on. Here are some times when you can call a plumber in Greenville SC for your toilet. Your toilet overflows. If you have a plunger, a single overflow is usually easy to take care of, unless the clog is deep or there’s something else going on. But when your toilet overflows regularly, it’s time to have a plumber come out and look at it. We’ll be able to determine why the overflows keep happening and make sure they go away for good. Your toilet always runs. If you flush your toilet and you notice an hour or so later that it’s still running, it’s time to call a plumber. We will figure out why your toilet’s tank isn’t filling and do the repairs that will make it function well again. Your toilet is hard to flush. If you have to hold the handle of your toilet down for a few seconds to get it to flush, or sometimes it doesn’t flush all the way, call us. We’ll figure out what has gone wrong with your flushing mechanism and we’ll get things working again so you don’t have to be frustrated anymore. Your toilet leaks. If you notice water pooling around the base of your toilet, it’s time to talk to a plumber. This often means that something has gone wrong at the seal between the toilet and the floor. We can remove your toilet, repair or replace the seal, and install the toilet again. Whether your toilet problem is small or large, you don’t have to live with it. We’ll come out at a time that’s convenient for you, assess the situation, and come up with a solution.